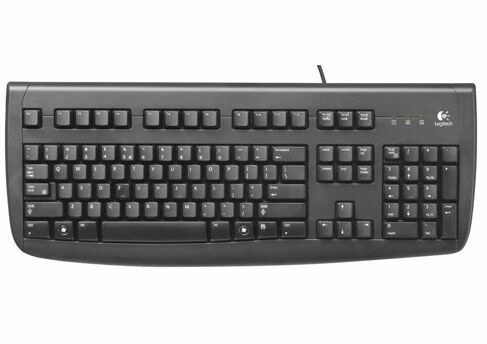 Features Comfortable, conservative design.The Logitech Deluxe 250 USB Keyboard offers a comfortable, conservative design with drain holes for spill resistance and overlay ready F-row keys. Its an extremely comfortable keyboard that will enhance any PC.1. Full-sized F-row keys enable easy and convenient software overlay placement. 2. Spill-resistant design allows the keyboard to withstand minor accidents. 3. Works with Microsoft Windows Vista for enhanced productivity.